Mangusta is an ECO-FRIENDLY electrical elevator that can perfectly adapt to your home’s line and style, allowing for the achievement of a new connection element in perfect harmony with the environment. The wide choice of materials and colours facilitates the identification of solutions to satisfy any requests. 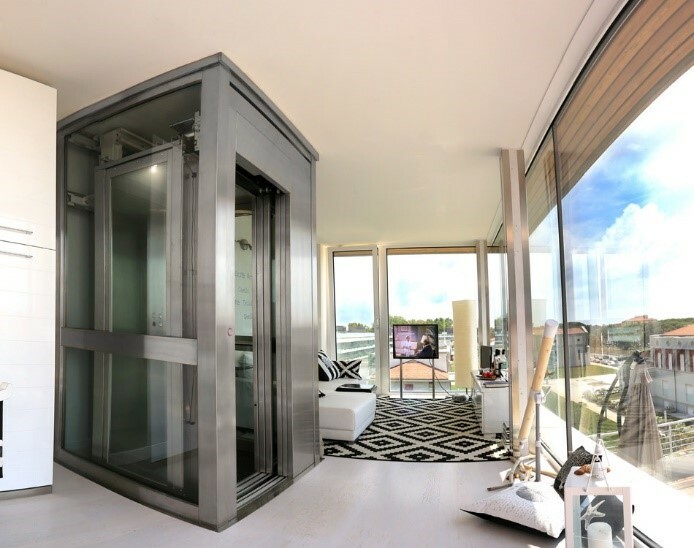 Miniwatt lift allows you to enhance the property on which it is installed for both technical characteristics for the various possibilities that it offers to integrate aesthetically with the environment that surrounds it; it is perfect for single-family houses and commercial activities, customisable measures make it suitable for renovations. This lift is the ideal solution where there is a need to serve the attics, lofts or situations that present topfloor landings with reduced heights. Elios lift is designed to be installed in small spaces. All the solutions are custom made for specific requirements. The 150 Watts (300 Watts for Elios) of needed power allow the use of Mangusta without having to turn off other devices and no power increase is required in the electric energy contract, the standard private home power or light counter from the staircases being sufficient. Mangusta and Miniwatt, with only 150 W, use 18 times less power than the 2,700 W of the hydraulic installation while ascending. They provide better performances than hydraulic elevators consuming less than 50% of electricity. They protect the environment, they don’t use any type of oil, not even lubricant for the sliding guides. The presence of the two batteries allows the use even in the absence of electricity (black-out) for around 30 runs. The number of runs may vary depending on the battery charge. They are provided with a speed limiter that avoids the uncontrolled movement of the cabin. This limiter is located on the lifts and it is mandatory on the elevators according to A3 Amendment. Soft departures and arrivals, precise stops at each floor and silence are distinctive traits of these lifts, designed and made to offer maximum comfort. 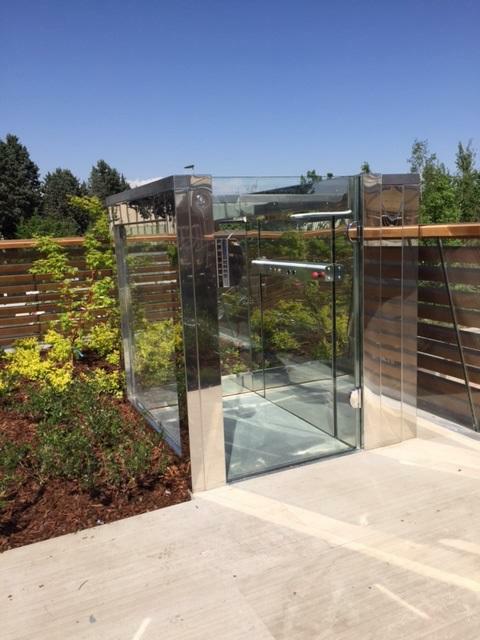 With these lifts no space is required to install the hydraulic control units and control boards, the engine is located in the elevator shaft and the control panel is located in the top landing door. Guide lengths that never exceed 2.4 m and all the elevator always placed in 4 packets are factors that reduce the transport cost and facilitate the movements on site.